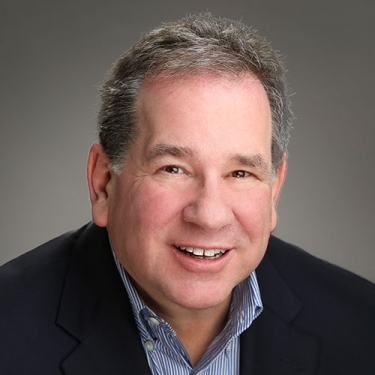 Howard R. Korenthal is a Principal and Chief Operating Officer at MorrisAnderson. He has over 30 years of experience working with financially distressed and underperforming companies, serving in senior management, interim management and consulting roles. Howard began his career with the Big Eight accounting firm of Coopers & Lybrand in Chicago where, as an audit manager, he gained his initial experience working with distressed and underperforming companies. He went on to become President and CEO of Connor Sports Flooring Corporation, a portfolio company of the private equity firm of Code Hennessey and Simmons, LLC., and later was a Managing Partner at the turnaround and consulting firm of Lake Pointe Partners in Chicago. Prior to joining MorrisAnderson, Howard spent 17 years as a senior partner at the turnaround and consulting firm of Silverman Korenthal & Co., based in Chicago. Howard, a Certified Public Accountant (CPA), is a member of the Turnaround Management Association, the American Institute of Certified Public Accountants and the Illinois Institute of Certified Public Accountants. He holds a Bachelor’s degree in Accountancy from the University of Illinois at Urbana-Champaign. Howard has been instrumental in over 150 turnaround and restructuring projects and complex Chapter 11 proceedings. He has extensive experience in the areas of profit improvement, cash flow analysis, viability analysis, and negotiation with secured and unsecured creditors. Howard also is involved in managing liquidations in and out of bankruptcy in a variety of industries, and frequently acts as assignee-trustee in assignments for the benefit of creditors. Howard’s turnaround expertise encompasses a broad range of industries, including manufacturing, distribution, food processing, and metal fabrication and production. Bankruptcy Court appointed Chief Operating Officer of Burr Oak Cemetery responsible for repairing and re-opening the cemetery to the public. The Cemetery had been shut down by the Cook County Sheriff following the discovery of financial fraud and grave desecration. Under a plan of reorganization, insurance proceeds were set aside for the future maintenance of the cemetery as a memorial. Financial advisor to Home Products, Inc., a $250 million injection molder that reorganized under chapter 11, saving over 600 jobs. Unsecured creditors were paid in full, and bond holders converted their interests to equity. Assignee for the benefit of creditors of Direct Marketing Services, Inc., a $175 million operator of multiple catalogs, including the Montgomery Wards catalog and Sears catalog. Marketed and sold the company’s assets at a public auction sale to a strategic buyer. Chief Restructuring Officer of Universal Food and Beverage Company. Marketed and sold the Company’s assets through section 363 of the bankruptcy code to a strategic buyer.